Almost all beads are measured on a metric scale in millimeters. One exception is seed beads, which use aught sizes. The millimeter sizing can make it especially difficult to order beads online or shop for them in stores. It can be tricky if you are planning to pair up new beads with beads you already have at home. Beads that are measured in millimeters include gemstone, crystal, glass, metal, wood, bone and horn varieties. In most cases, the measurement scale is applied to the actual bead while the strand itself may be sold in inches. Once you have determined the size bead you need, you may want to refer to a bead per inch and beads per strand chart to help you determine how many strands you need for a project or estimate the cost per bead. Short of having a ruler with you at all times, one of the best ways to understand relative bead size is to compare the bead to common objects. Coins are useful everyday objects that work for comparisons. They are easy to find and often found in a purse or pocket. One penny is 1.52 millimeters thick. This gives you a point of reference for bead size. If you stack two pennies together, you can estimate how big a 3 mm sized bead is or use a stack of four to estimate the size of a 6 mm bead. If you are out of pennies, nickels are another good reference. Nickels, at 1.95 mm thick, are just shy of 2 mm. If you are looking at larger beads or pendants, knowing that the diameter of a penny is 19.05 mm can be helpful. The diameter of a nickel is slightly larger at 21.21 mm. If you don't carry a lot of loose change, look for something else that you are always sure to have with you. A favorite pendant, a ring that you always wear, or your watch are potential items. Any of these can help you gauge bead size once you remember their size. Another way to keep bead sizing information handy is to make something with different sizes of beads and use it as a reference tool. Labeled keychains are a great option. You can buy key ring jewelry findings and then add your own decoration of hanging beads in the sizes that you need to reference. Label each size with a special tag or numbered bead. Use a strong beading wire or thread to minimize the likelihood of breakage. 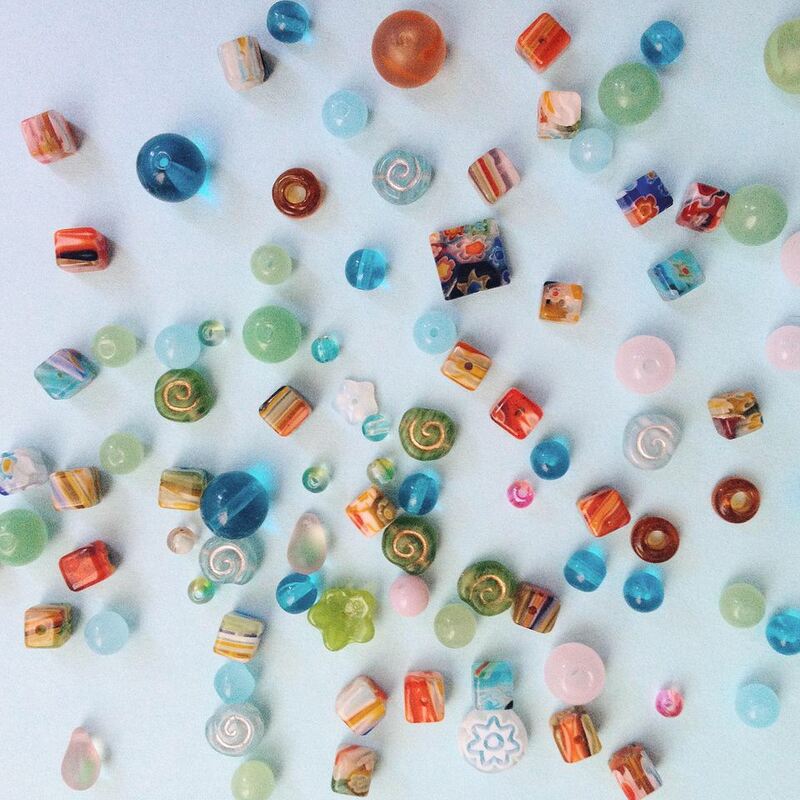 A printed bead chart is one of the best ways to compare sizes and avoid purchasing beads that are smaller or larger than you expected. Have a bead chart on hand before making online orders or when planning projects. The bead size chart will help you determine the right size of beads for the length of the project you are making or how many beads you will need for specific projects.